A beautiful way to disguise your needed paper towels on the kitchen counter. 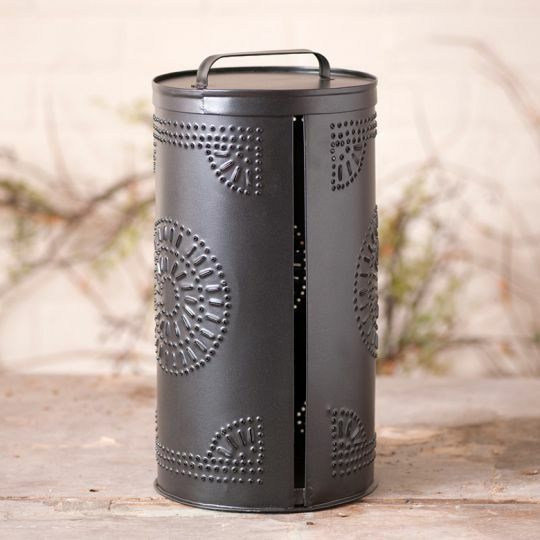 Our Punched Tin Paper Towel Dispenser is a beautifully appointed statement of farmhouse simplicity. Smokey Black finish. Remove top to insert a roll of paper towels. There are guides on the top and bottom to keep the roll centered. Metal construction. Imported.